Unite, pray and celebrate with your family and ours. 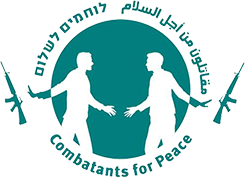 We are proud to announce that this First Friday will include an address by Combatants for Peace: Palestinians and Israelis who once played an active role in the cycle of violence in the Middle East. These former combatants will share their transformational stories and their quest for peace. Register for Shabbat dinner here.